“My friends and I started a podcast” might be the “Come listen to my band” of the mid 2010s because it’s a way to hang out with friends and produce something creative (that you then beg your friends and family to listen to). That being said, my friends and I started a podcast and I want to give you a quick pitch why you should listen. “The Atomic Weight of Cheese,” features myself, Chad Plambeck and Steph Romanski talking about “cult cinema,” a catch-all term that covers B movies, genre flicks and the like. Every other week we pick a topic, usually thrown at us by real life, and tie it back into cult cinema because, as I say every time we record, “cult cinema is real life and real life is, frequently, cult cinema. A quick word on my cohosts. Chad Plambeck, proprietor of microbrewedreveiws.com, has introduced me to a wide width and breath of cult cinema in our 15 or so years of friendship. 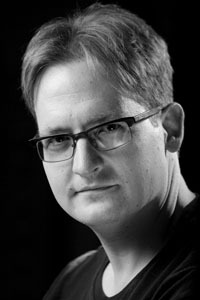 He’s a great writer, a voracious film fan, a gifted storyteller and one of the nicest men on the planet. He’s the guy who’s got the knowledge and knows how to swing it. Steph Romanski, one of my favorite people, runs in slightly different cultural circles and brings to the conversation a ton of perspective on video games, fan culture, 80s culture and some of the weirder corners of the Internet. She’s also a tech person extraordinaire and is the only reason the show is working at all. You can find her at stephromanski.com. Then there’s me. So far we’ve covered dental trauma, Star Wars (you know, the most popular thing on the planet), the death of the video store and we have big plans coming down the pipe. 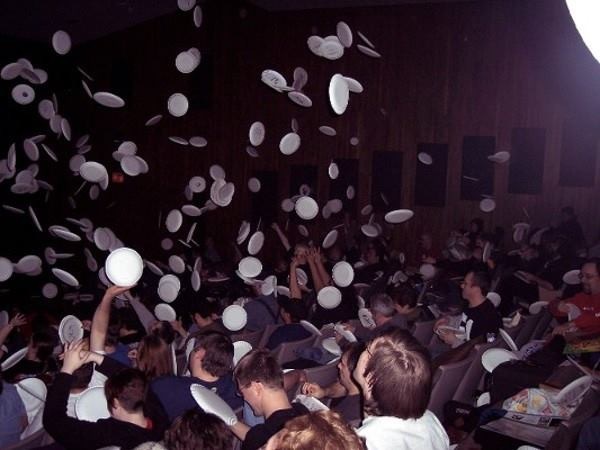 This week’s show is about B-Fest (pictured above), a 24-hour B-movie festival in Illinois that I’ve been going to for over a decade. It’s cult cinema expertise wrapped in best friend booberry, a bit of perspective with a whole lotta fart jokes and the breeziest, easiest 45 minutes to an hour in your podcast feed. I love doing the show and hope you enjoy it too. You can follow The Atomic Weight of Cheese on iTunes and other podcatchers, on Twitter @awocpodcast, on Facebook at The Atomic Weight of Cheese, on Tumblr and a few other joints. We’d love reviews and all that but, in all honesty, we love doing the show and love sharing it. If you’re a podcast person, please let us know what you think.